An autobiographical romance from a Scottish writer- set over seven decades from the 1950s to 2015. Covers a wide range of emotions from the ecstatic to despair. A positive and uplifting book about the endurance of true love. 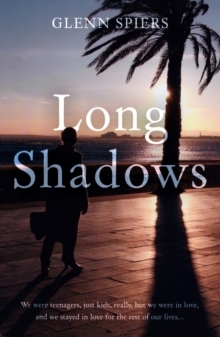 Long Shadows is an autobiographical romance spanning seven decades. It is a `feel-good' book about a successful, renewed relationship, under near-impossible circumstances, over a very long period of time. When Glenn was a teenager, he met Pauline. They met on a train. During Glenn's first summer leave from the Navy, he was travelling home by train when he saw Pauline, going home from nursing training in Bath. They fell madly in love, and stayed in love for the rest of their lives, despite interference from her parents. They got engaged in 1955, a year after they met, but then tragically they were split up. The following year, Pauline married on the rebound. It was to be a doomed marriage, but she had two children. Stationed in the North of Scotland, in a pub near Christmas, Glenn asked the barmaid to a dance. Three days later he asked her to marry him. They had a wonderful forty-nine years together, until after he nursed her through five years of dementia, Rosemary died on Christmas day, 2011. It was then that Glenn found Pauline on the internet, and from there they rekindled their epic romance.